Alabama quarterback Jalen Hurts reportedly visited Oklahoma over the weekend, and of course, Sooner Nation took to social media. Some of the responses are stunning. That’s just a small sampling of what Baker Mayfield and Kyler Murray have done an otherwise sensible fan base during their reign of Heisman excellence in Norman. Sooner Nation has become spoiled by historic quarterback play. Breaking news: Jalen Hurts isn’t as good a passer as Mayfield or Murray. That doesn’t mean he can’t step in during the 2019 season fill an immediate need for great quarterback play. There are, of course, a lot more opinions from OU fans that support the notion of Hurts becoming a Sooner. Opinions are just that: opinions. They’re neither right nor wrong — at least until proven so. But to say Jalen Hurts can’t throw is — well, it’s not an opinion. It’s just wrong. In his 29 games as Alabama’s starting quarterback in 2016 and 2017, Hurts completed 62 percent of his passes with 40 touchdowns and 10 interceptions. 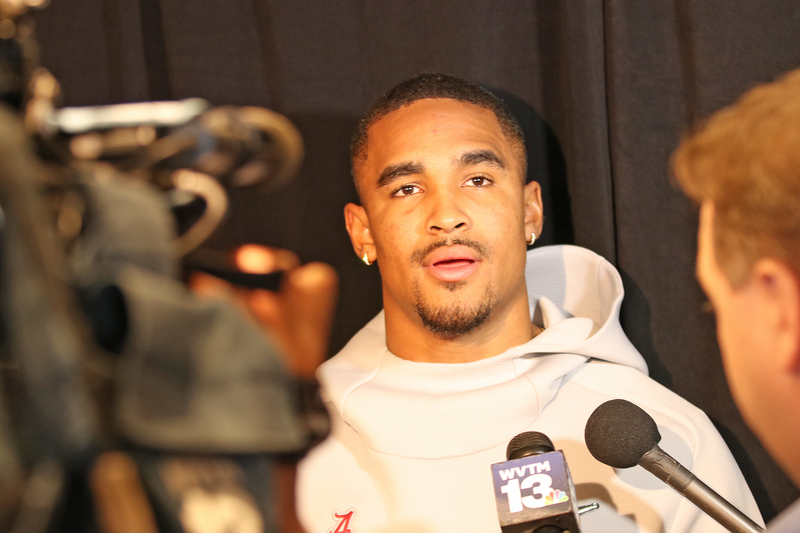 As Tua Tagovailoa’s backup in 2018, Hurts connected on 73 percent of his throws with 8 TDs and 2 INTs. Are those Mayfield/Murray numbers? Of course not. Did Hurts thrive on a lot of short throws? Absolutely. But would a senior who’s played in three national championship games and puts up those kinds of stats be better than a true freshman (Spencer Rattler) or a redshirt freshman (Tanner Mordecai) who have combined for a grand total of four college passes? Most likely. He was 26-2 as a starter at Alabama. Now let’s talk about the other dimension of Hurts’ game: running. As a Bama freshman, Hurts rushed for 954 yards and 13 touchdowns and averaged 5.0 yards per carry. As a sophomore, he ran for 855 yards and 8 TDs on a 5.6 average. In three seasons in Tuscaloosa, Hurts has nearly 2,000 yards rushing and 23 touchdowns. 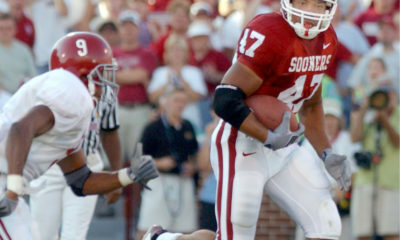 In his two seasons as the starter, he had seven 100-yard rushing games. 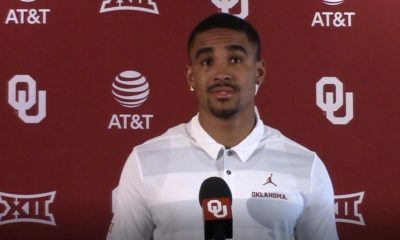 Somebody actually thinks adding Jalen Hurts to the Sooners’ 2019 roster would somehow be a bad thing? That’s not just wrong. That’s delusional. No doubt, Hurts has struggled to throw the ball against elite defenses. In 2017, he went 11-of-24 against LSU and 3-of-8 against Georgia before he was famously benched for Tagovailoa. In 2016, he was 10-of-19 against LSU and 13-of-31 against Clemson. More breaking news: Elite defenses have a way of affecting quarterback play. In 2015, Mayfield was 26-of-41 with two interceptions against Clemson and 19-of-39 with two INTs at Tennessee. In 2016, Mayfield was 17-of-32 with two interceptions against Ohio State. In this year’s playoff semifinal against Alabama, Murray was 19-of-37. Three of those games were losses. Now consider that in the Big 12, there are no Clemsons, no Alabamas, no Georgias, no Ohio States. And now consider that in his three seasons at Alabama, Hurts had four different offensive coordinators: Lane Kiffin, Steve Sarkisian (for the playoff run), Brian Daboll and Mike Locksley. He also has had four different quarterback coaches: Kiffin, Sarkisian, Daboll and Dan Enos. Now imagine the kind of precision coaching and offensive stability Hurts would get in just a short time under Lincoln Riley. And while it is true that Hurts was indeed benched with the national championship on the line, it also is true that the guy that took the job from him is now considered the best QB in school history. The hangup for OU, of course, is that Hurts also visited Maryland (Locksley is the Terps’ new head coach) and Miami (Bama QB coach Dan Enos is now the Hurricanes’ offensive coordinator). He’s had plenty of suitors, and he has a decision to make. Oklahoma isn’t going to win next year with a rebuilt offensive line and a depleted receiving corps and a rookie quarterback. And the Sooners certainly aren’t going to win with defense. They’re at least a year away from the strong recruiting classes of 2018 and 2019 having that kind of impact. Maryland’s not going to the College Football Playoff next year. Neither is Miami, probably. 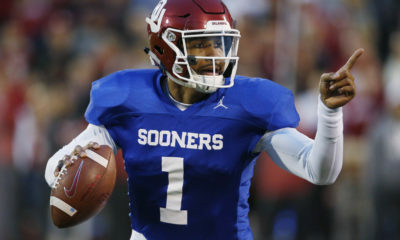 But Oklahoma, with Jalen Hurts at quarterback, has a real shot at winning its fifth straight Big 12 title and making its fourth CFP trip in five years. 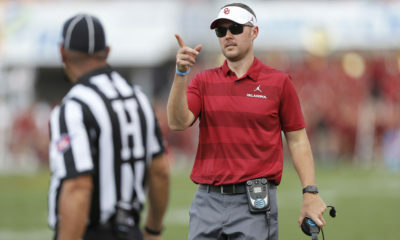 OU needs an experienced quarterback to overcome its unproven personnel, a battle-tested quarterback who has played and won at the highest levels, one who can throw the football just fine, thank you very much, and one who can run the football like a tailback.